Developed by Dr. Catherine Crowley, this self study course focuses on components of a quality Early Intervention evaluation considering current law/regulations, informed clinical opinion, and evidence-based practice. Topics include the misuse of standardized tests, the importance of parents, when a bilingual evaluation is necessary, and how to identify Childhood Apraxia of Speech, all through a video case study model. Please read the CEU Learning Outcomes and follow the directions below to complete the self-study program. 1. 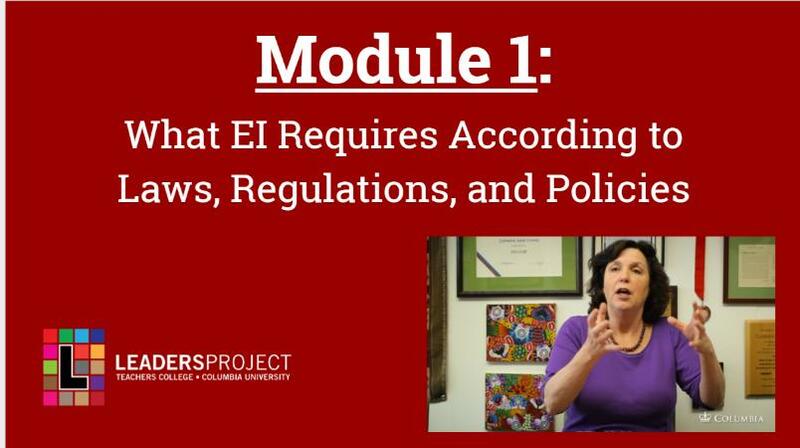 View and study the Video Modules for Culturally and Linguistically Appropriate Early Intervention Evaluations. 4. Complete and Pass the Culturally and Linguistically Appropriate Early Intervention Evaluations Online Assessment. Click the link above to access the assessment page, and follow the instructions on the screen. After reading the introduction to the assessment, you will be taken to a page in which you must enter your required information. Entering your ASHA ID# is OPTIONAL. To receive the ASHA CEU credits for completing this course, you must enter your ASHA ID# at the beginning of the assessment. If you do NOT wish to receive ASHA CEU credits for completing this course, please enter 8 zeros (00000000). Do NOT leave this field blank. It is recommended to use Safari, Mozilla Firefox, or Internet Explorer to complete this assessment. Google Chrome is not a recommended web browser. CEU credits from LEADERSproject are submitted to ASHA and assessed every six months (in June and December). CEU credits will be awarded within 45 days of submitting them. If you have any questions or feedback, contact us. When you are ready, CLICK HERE to begin the assessment.